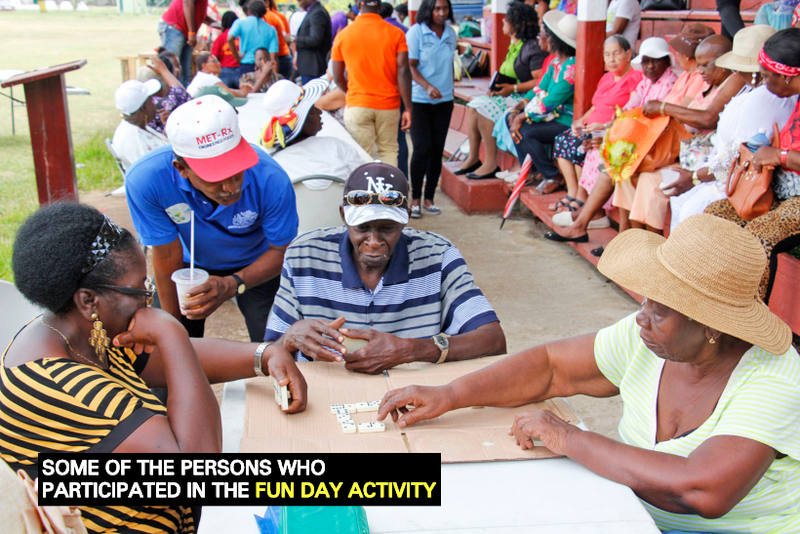 Elderly folks in Region Six, East Berbice Corentyne were yesterday treated to a grand, fun-filled day, under the theme ‘A future of fun without abuse; living life at its fullest’, compliments of the Ministry of Social Protection. The APNU+AFC government has long been promoting the notion of a ‘good life’ for all Guyanese. But, according to New Amsterdam Mayor, Ms. Winifred Heywood, the promised ‘good life’ must start at the individual level where persons choose to first eat healthy and make crucial changes needed to realise the intended goal. Heywood’s words of wisdom were vocalised yesterday during a Ministry of Social Protection spearheaded fun day for elder folks of Region Six. The event was held at the Esplanade Ground, New Amsterdam. Mayor Heywood, in expressing gratitude to the Ministry for remembering the elders in the Region, said, “I feel so honored to know that when you get old, people can still remember you and host these events for you. Some of us feel that as soon as we reach a certain age, we shut up and we don’t care. But this event shows that the Ministry of Social Protection cares about you and remembered you,” Heywood told the elderly folks at the event. The fun day for the elders is an annual one which was first hosted in 2016. Retired nurse Jeanette Crandon said she is excited to be at the event every year. “It brought pleasure to myself and all the other elderly people. We look forward for this, every year so that we can know each other and share experiences. I think it should be continued so that more people can join in and come together so that our elderly people cannot feel left out. This activity helps us to know that we are remembered,” Crandon disclosed. Meanwhile, President of the Berbice Pensioners Association, Burchell Archer, noted that mostly women attended the event. However, the men would be there to assist and support them. During the event, the elderly played games including dominoes and bingo and were entertained by a hat show.